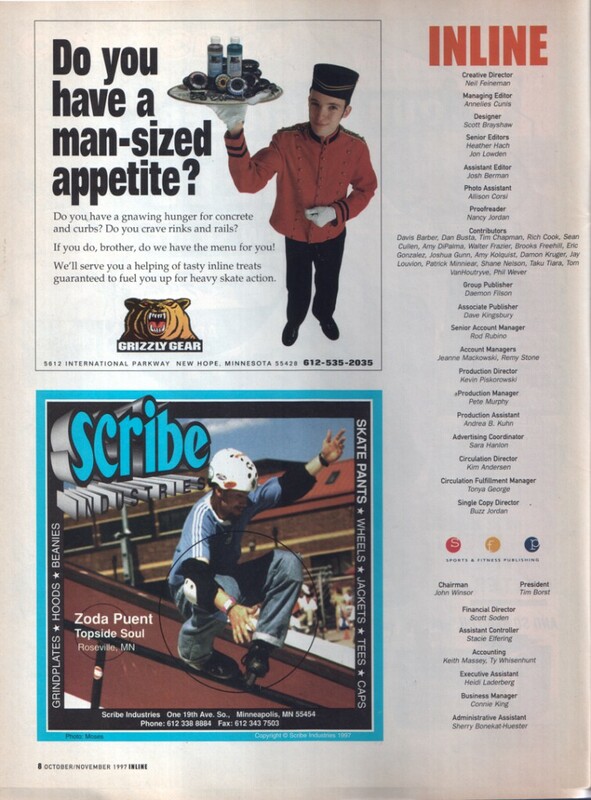 This will be the last in the WheeledThing series of excerpts from Inline Magazine, 1997. 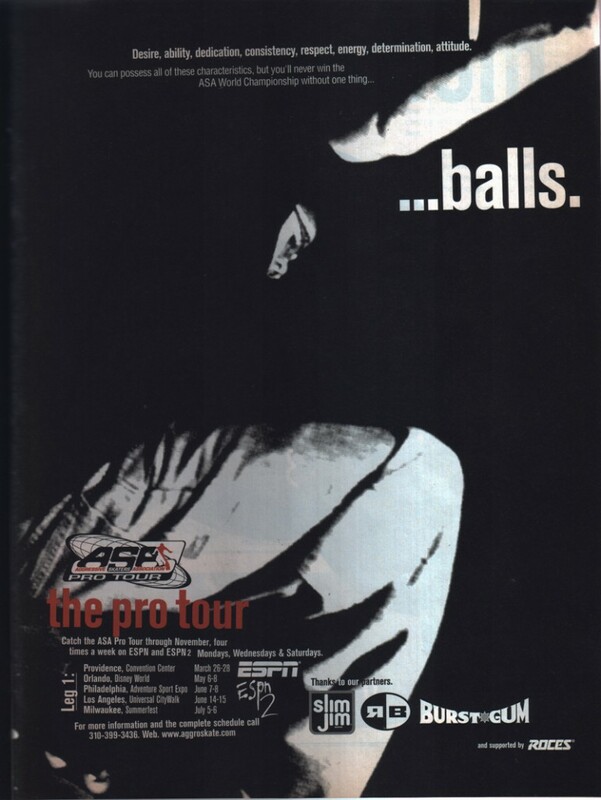 The aggressive skating association felt that skating in 1997 required balls. The company still exists and apparently allows women to participate today. The masthead. Senior editor Heather Hach may have gone on to a distinguished career in film. This entry was posted in Uncategorized on March 5, 2015 by stern.